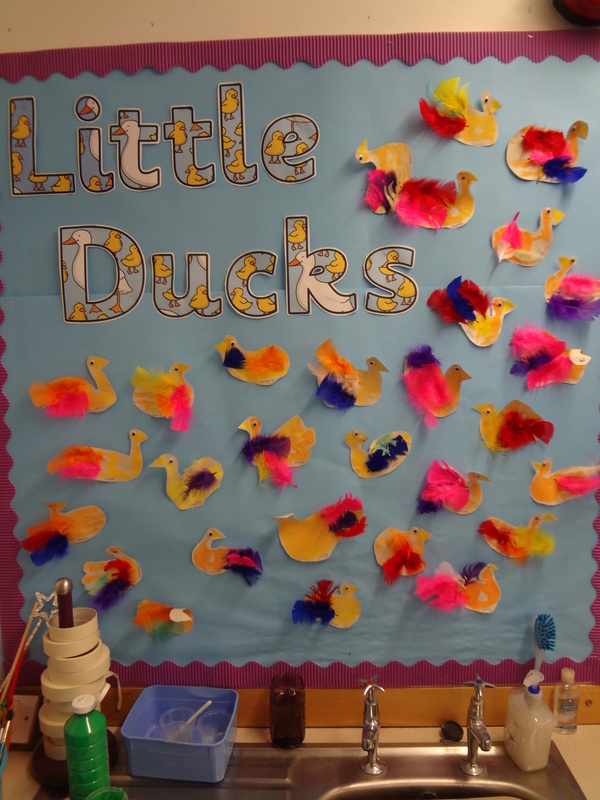 Our first art work in Reception Class – the children painted their hands and then printed them to make little ducks. They then added feathers and an eye. Beautiful! 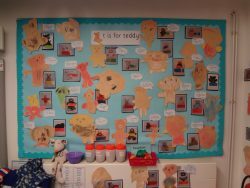 Meet our teddies – Reception Class have been learning their letters. 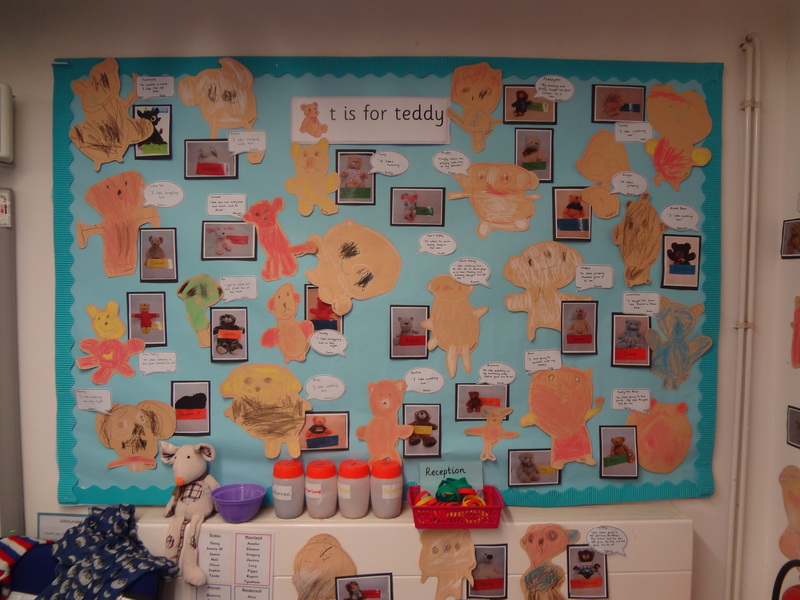 When we learnt the letter ‘t’ the children brought their teddies to school. 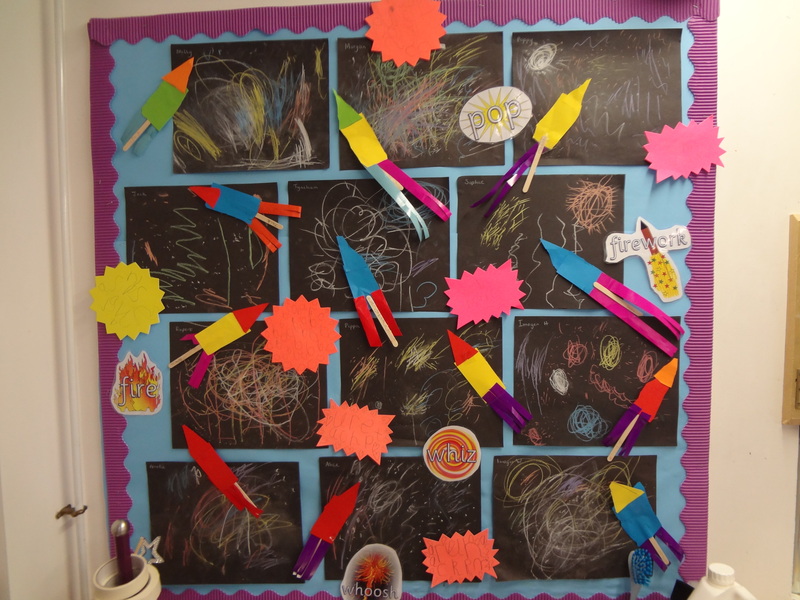 They drew wonderful pictures with chalks and then told the class something special about their teddy. 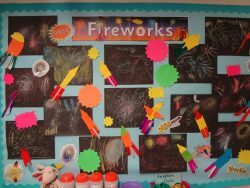 We celebrated bonfire night by creating wonderful firework pictures and by making paper rockets. The children even practised writing some of their letters in firework shapes. Reception Class have been finding out all about light and dark. 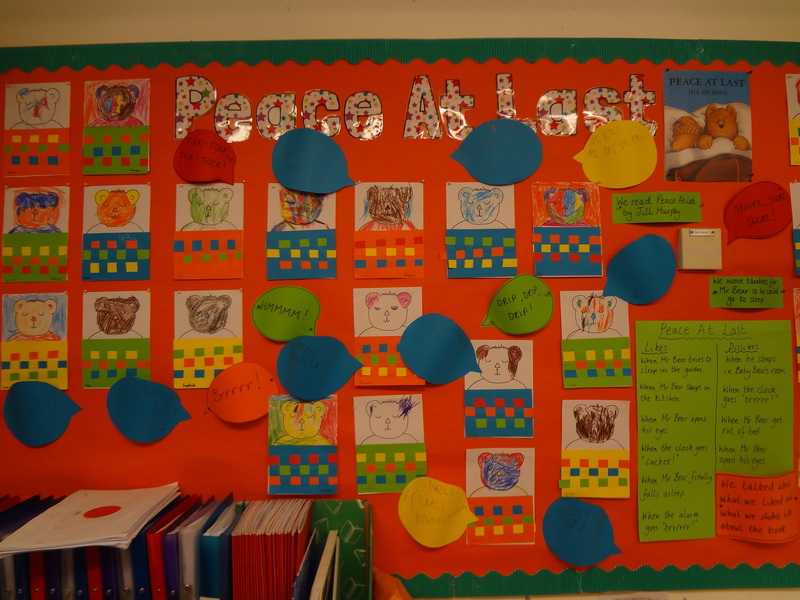 We listened to the story of Rama and Sita and found out about the Hindu celebration of Divali. 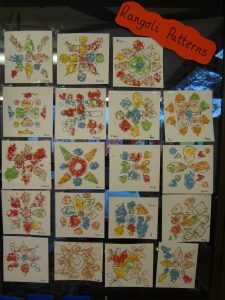 The children then made their own Rangoli patterns by sticking coloured rice to some card. 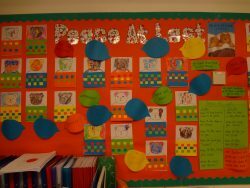 The children in Reception Class have been reading the story of ‘Peace at Last.’ They then made some new bed covers for Mr Bear by weaving some coloured paper. He look very cosy! Reception Class have been thinking about ‘day and night’ at school. We looked at a painting called ‘Starry Night’ by Van Gogh. 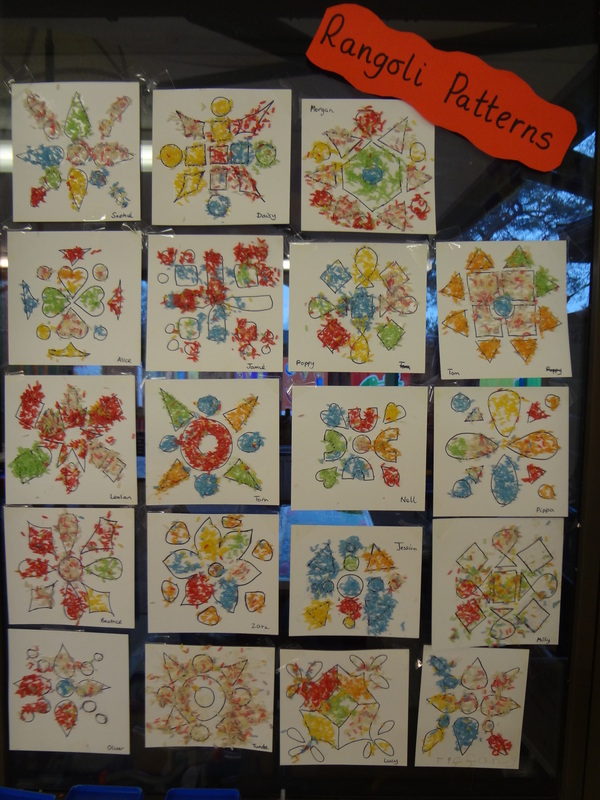 The children then tried making their own versions. 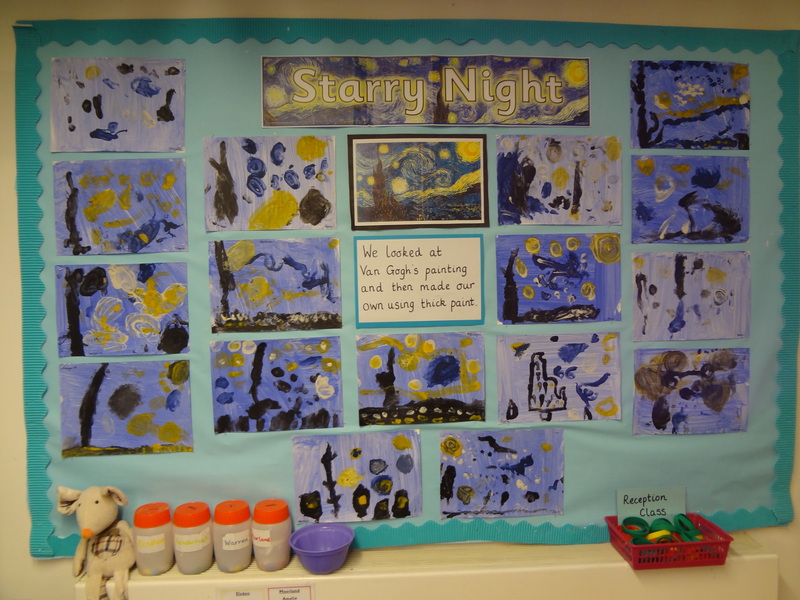 They mixed paint with flour and glue to make a very think mixture. 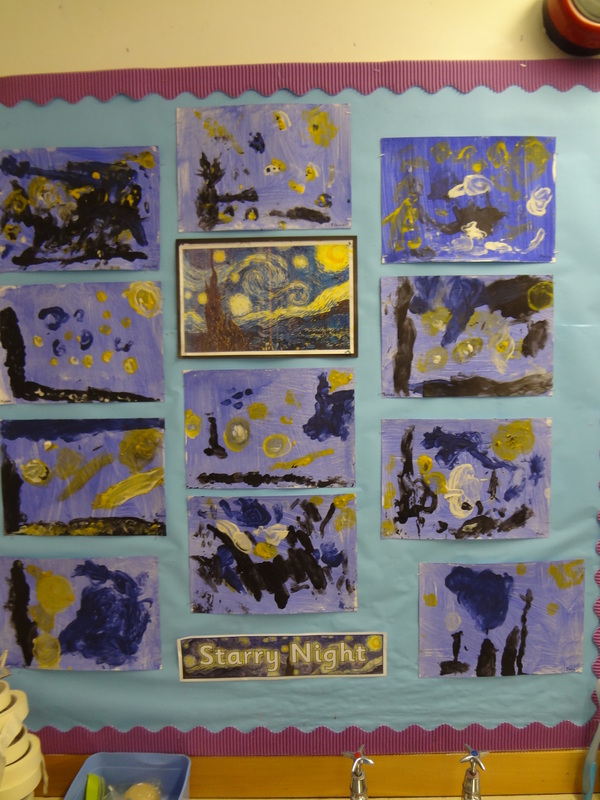 Then they used their fingers to paint, mix and create their own starry nights.